Near Bethlehem’s Packer Avenue, where Lehigh University meets the South Side business district, sprawls a patchwork of lawns and concrete plazas wrapped around classrooms, a library and campus shops catering to the country’s brighter minds. But the collegiate image belies an almost forgotten past. This is the site of Bethlehem’s lost neighborhood, blocks of homes that vanished nearly 50 years ago to make way for Lehigh’s expanding campus. Lehigh University students and the South Bethlehem Historical Society are trying to piece together the history of those blocks bordered by Vine and Webster streets and Morton Street and Packer Avenue. They’re going through old records and hosted a “story-gathering” event Saturday at the Victory Firehouse. They are collecting first-person accounts, photographs and other memorabilia to preserve the collective memory of the neighborhood and using the information to resurrect it online, with interactive maps and oral histories. “For me, it’s always been like archaeology — digging into a place that was once a neighborhood, a vibrant community, that doesn’t exist anymore,” said Chris Campbell, a graduate student undertaking the project. 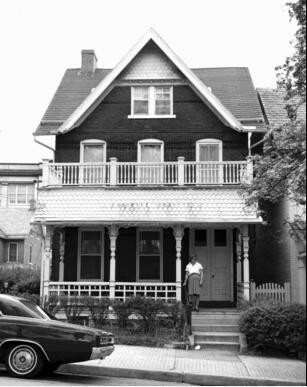 What Campbell and his colleagues uncovered were memories of a solid, working-class neighborhood teeming with Italian, Irish, Hungarian, Polish, Greek and Puerto Rican families. The neighborhood was flush with rowhomes, likely built by the Italian masons who came to erect the Hill-to-Hill Bridge, and punctuated by large Civil War-era homes yawning with large porches and balconies. Also lost were a brick schoolhouse, hot dog shop, hotel, firehouse, church and synagogue. Some streets had not a swatch of grass but gardens of tomatoes, peppers and lettuce. At least one block — Vine Street — was shaded by leafy elm, maple and chestnut trees. Some women would sweep the sidewalks, just blocks from the Bethlehem Steel plant, every morning. Others would walk to the nearby garment factories or join the men at the Steel mill. Depending on the day, the air would be heavy with the odor of burning trash or the pleasant aroma of baking bread. But there were a few rundown or vacant buildings on the block or student rentals that just weren’t kept up. This is the area that the Bethlehem Redevelopment Authority zeroed in on during its urban renewal program in the 1960s. The program tapped millions in federal dollars to clear what was deemed a blighted neighborhood and replace it with new development. The program led to creation of City Hall and the Colonial Industrial Quarter. 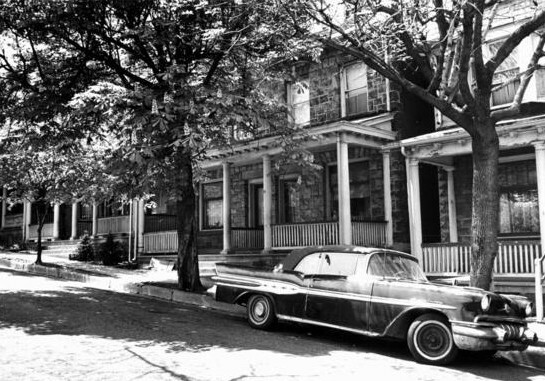 In south Bethlehem, the authority used the urban renewal program to condemn areas close to Lehigh University. The $3.7 million project meant Lehigh University would get land that would later be developed into Maginnes Hall, Fairchild-Martindale Library, Sinclair Laboratory and, more recently, Campus Square and the STEPS building. Broughal Junior High got a playground and St. Peter’s Lutheran Church a parking lot. But 93 families, 29 individuals and eight businesses were displaced between 1965 and 1971, when the project was completed. That argument was challenged by Charles Seidle, then vice president of administration at Lehigh. He said the project would “continue the progress of our city,” according to published reports of the meeting. 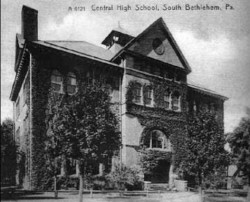 The federal government was paying two-thirds the cost, and Lehigh, which had been buying up some of the properties, used its purchases to provide the match. So, the projects cost the city nothing. Mark Iampietro, who donated a copy of his family memoir to the historical society, recalls his grandparents as second-generation Italians living in the neighborhood targeted by urban renewal.